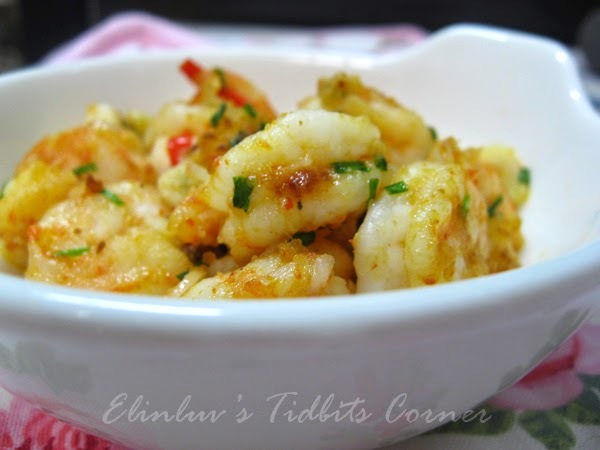 There are many ways to cook prawns/shrimps. I love them without their shell on and if they are fresh, I can eat many * roll eyes...ahem...but I am not permitted to eat freely as the other partner's eyes will be watchful during meal time when there is a prawn dish :) So to guard my uncontrollable intake of seafood like prawns and crabs , I normally cook a small portion enough just for the two of us. A simple stir fry with homemade chilli paste, garlic and spring onions and chilli padi. 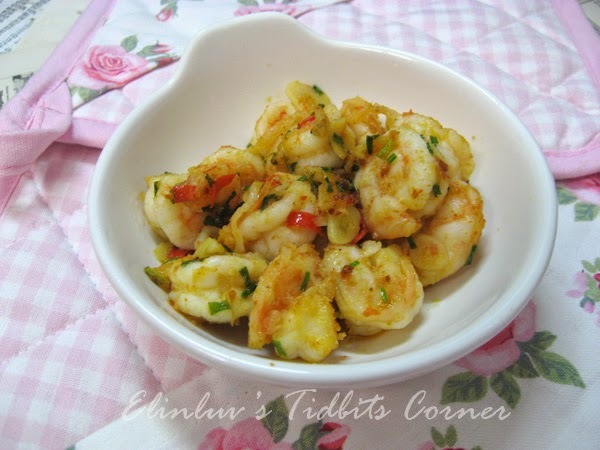 So easy to whip up and I wish I could have the whole plate to myself :p Fresh prawns will give you a natural sweetness and sea water scent and the texture will be springy. 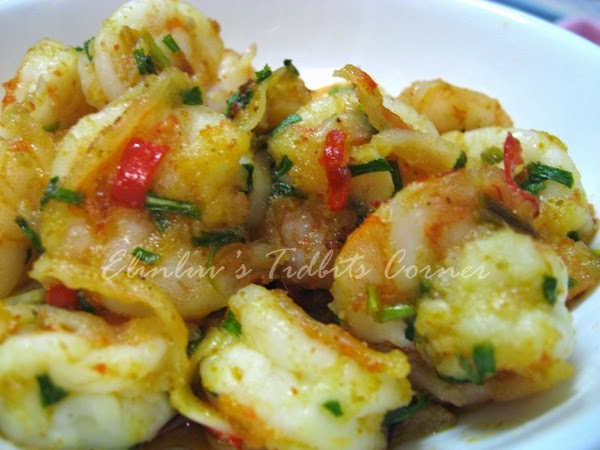 Love love this simple and mouth watering hot spicy prawns. Heat up 1 tbsp of oil in a non stick pan, saute the chilli paste and garlic and cut chillies till fragrant. Add in the marinated prawns and stir fry till the prawns is cooked. Before dishing up, add a pinch of salt to taste and add in the spring onions. Dish up and serve with rice. I would finish the whole plate in no time! It looks so flavourful.